This sequence of advertising placed by the International Silver Co. illustrates the development of the company and the way in which it marketed its products. 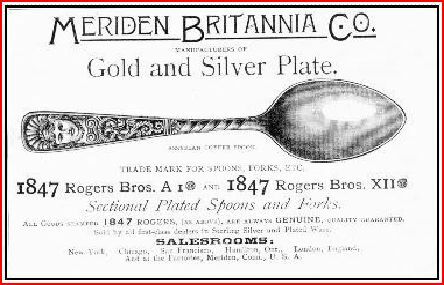 This Meriden Britannia ad predates the 1898 merger of Meriden Britannia with other Connecticut silver companies to form International Silver. 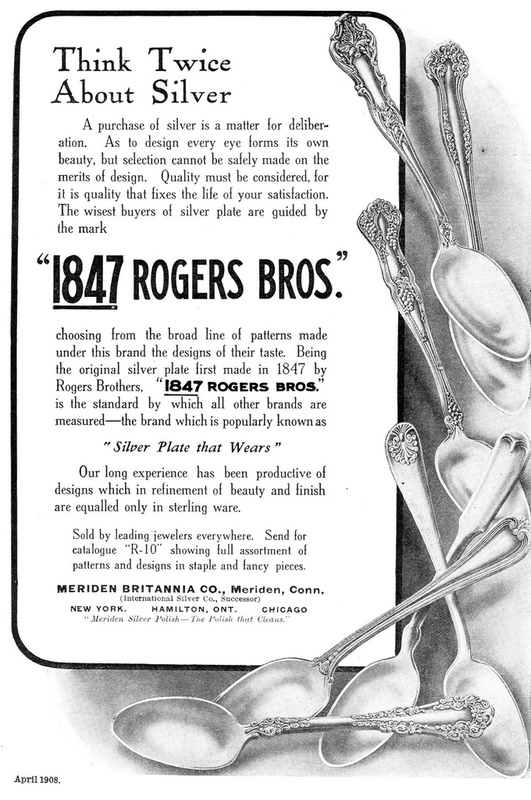 Ten years later, In this 1908 International Silver ad, the names of 1847 Rogers Bros. and Meriden Britannia are dominant, with International Silver Company in parentheses. 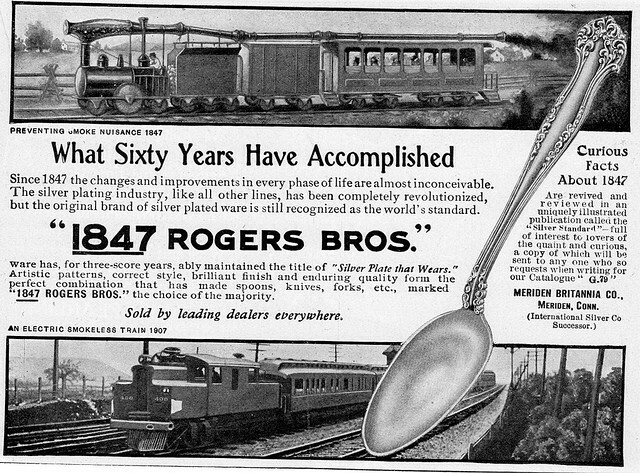 International Silver liked to emphasize the historical roots of its 1847 Rogers Bros. line, as shown in the 1907 ad. International maintained a separate brand identity for the products and marks of the companies which comprised it. 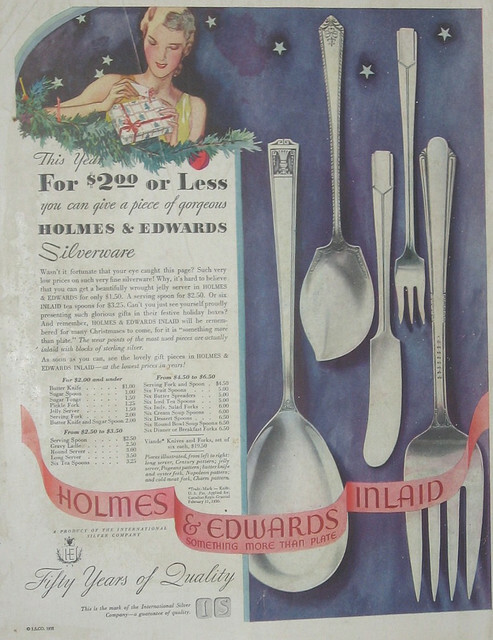 In this 1938 Holmes * Edwards ad, the only indication of the International Silver connection is the subtle I S mark at the bottom. 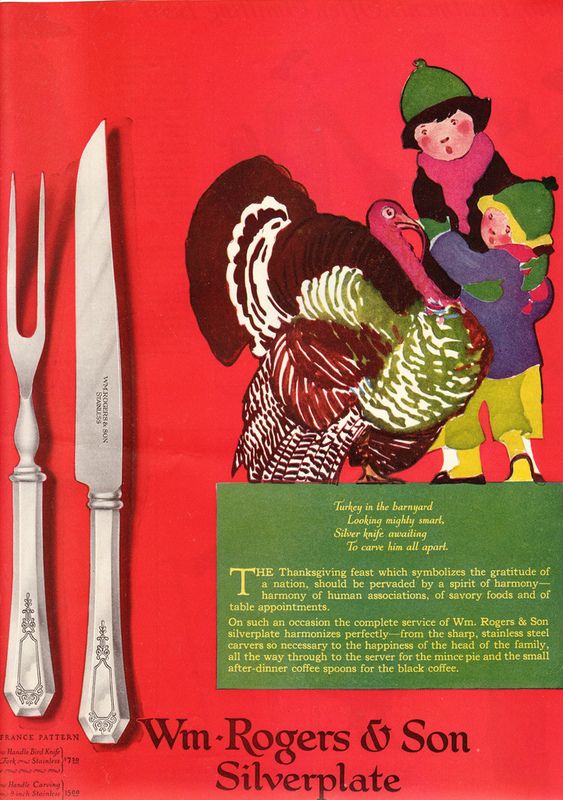 Here is another example of International’s maintenance of brand identity in this 1923 ad for the Wm Rogers & Son line. This was less expensive silver, so the advertising is not as “serious” as for 1847 Rogers Bros. line which always emphasized its quality and gentility.